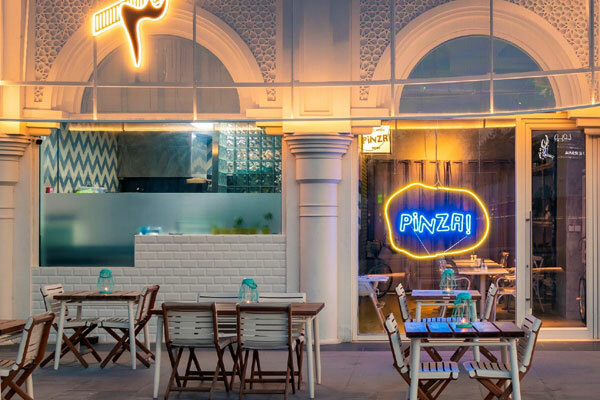 Pinza, the modern ‘pinzeria’ that delivers the lightest, crunchiest, tastiest and healthiest hand-kneaded crust in Dubai, has marked the opening of its first dine-in venue at Onethird in dar wasl Mall, Dubai. Offering indoor and outdoor dining experiences, the new trendy outlet serves unique Pinzas, seasonal Pinzas as well as a range of salads in addition to vegan options for discerning customers. Pinza stands out for its signature recipe that offers a healthy alternative to traditional pizza. With its dough as its unique value proposition, Pinza’s recipe and multi-step production process was developed over a period of five years. The special formula incorporates four types of specially selected flour and fibre which involves a 24-hour plus fermentation process, a pre-baking stage and hand-kneading. The Pinza recipe also has significantly higher water content than traditional pizzas, with a ratio of 80 per cent water to 20 per cent flour. Minimising yeast, gluten and calorie content while upping the flavour, crunch and freshness to produce the definitive naturally vegan dough base, Pinza assures excellent value for money backed by consistent innovation to offer new flavours.